Are you a bag lady? Do you like to switch your handbags depending on the weather, your outfit, or your social event? Of course you are, and of course you do. I believe in equal-opportunity accessory exhibition. If an outfit calls for a slouchy brown book-bag, use it! Yes, a vintage clutch would in fact spruce up a denim jacket. Alternating handbags is ALWAYS a great idea. Unfortunately all of this back and forth can leave you searching in one bag for your favorite lip gloss or forgetting to move important items from one bag to the next. Finding yourself out to dinner with a gorgeous red handbag is useless if your debit card and hair tie have been forgotten at home, buried in the black tote you took to Trader Joe's that morning. Not chic. Voila-a simple solution: a tiny to-go bag that holds your go-to items. Simply stuff your little zipped pouch with the little things you need and transfer it from bag to bag. My mini-pouch contains, a Starbucks card, rubber bands, bobby pins, lip gloss/stick, blotting sheets, 2 Advil and a sample-size perfume. You can grab your own little pouch like this one from H&M for $6. 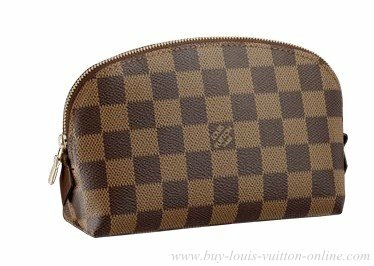 For a more splurge-worthy pouch, this one from Louis Vuitton is a timeless treat. Be creative, find something pretty or colorful that is small enough to stash in any of your fabulous bags. If you are brave tuck a pen in your zip-up, thus saving your real bag from any unfortunate incidents. This wee little idea won't revolutionize your whole life, but it will change how you use accessories--which certainly counts for something. I am found of bags and accessories. I usually change my handbags in every 2 months. I have a huge collection of stylish bags. I just loved the last handbag. I liked it's stuff and fabric.